My daughter and I made these during my recent visit to San Diego. 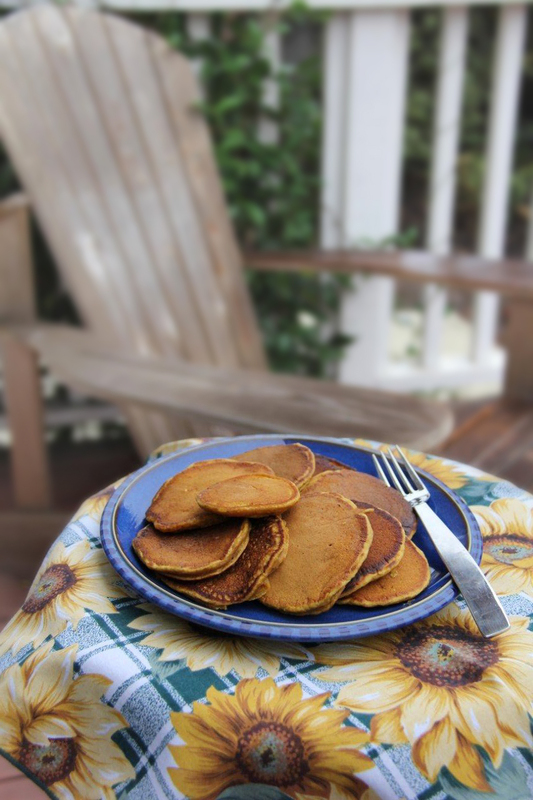 She'd been craving pumpkin pancakes, but many of the recipes yield pancakes that are dense and heavy. We wanted something light, but with a real taste of pumpkin. To lighten these, we separated the eggs, and beat the egg white. We also increased the amount of both baking powder and baking soda. 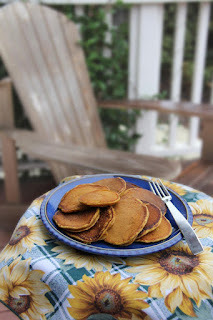 Finally, we added traditional pumpkin spices I think these fill the bill! Directions: Mix dry ingredients in a large bowl. Separate the egg white from the yolk. Beat the egg whites until frothy and holding a light peak, but not so stiff that they dry out. Add the pumpkin, milk, oil, honey, and agave syrup or sugar to the egg yolk. Stir the wet ingredients into the dry ingredients. Fold in the egg white. Heat a skillet on the stove top. Add a small amount of canola oil, then ladle the pancake mix onto the skillet to make 4 inch or 6 inch pancakes. 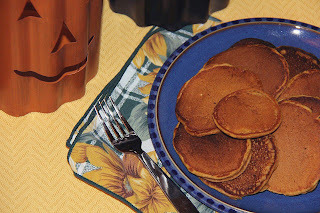 Turn or flip the pancakes when the edges begin to dry. Stealthy Cooking Tip: Talk about a stealthy way to get a small amount of vegetables into breakfast! Kids will enjoy smaller pumpkin pancakes, especially if you make a "stem" on them. If you choose to mash your own pumpkin, look for a cooking pumpkin. 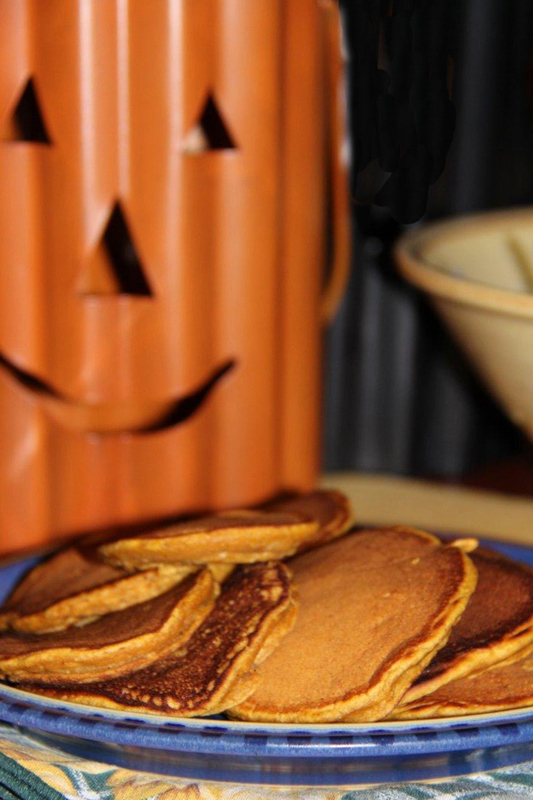 Sugar or cooking pumpkins are sweeter than the jack-o-lantern pumpkins that are sold for carving. Ask your green grocer, he or she will know which kinds taste the best.